“Dear Mr Smith, we have been informed that you are now deceased… Please pay your bill as soon as possible.” This is the type of disaster that came out of early computer automated letters from financial and other institutions. Thankfully, things have moved along in the past couple of decades but the fact remains that a bad process automated will still be a bad process. 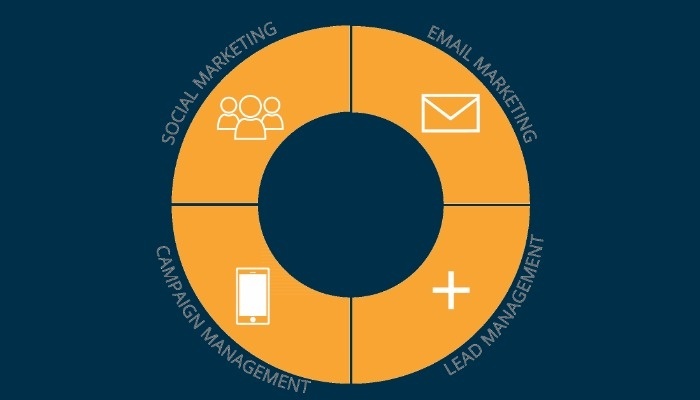 Marketing automation is a platform, tool or software that can help deliver cross channel marketing activity to drive efficiency and ultimately more relevant, customised content – it does not in itself design the right content, it gives you the information to do this better. By understanding peoples’ behaviour you can identify their readiness to purchase based on key criteria that are relevant to your business. Which pages of your website are they visiting? How many times have they engaged with your content? All of these behaviours can help you determine if they are sales ready, and if so, in what product or service offering. From this, you can start building communications and interactions based on prospect behaviour – understanding what they are doing, and how active and engaged they are before initiating any sales activities. Why is this important? For B2B, we know the buyer has completed 57% of the purchase process BEFORE engaging a vendor’s sales team – so providing quality content (so you’re on the short list), and using technology to understand a buyer’s engagement with that content (so you can sell to them when the time is right) is critical. For B2C we know that by better understanding how customers are behaving with the messages and offers you’re sending, we can increase cross sell, up sell and average sales value. People are choosing their own journey in a way. They’re deciding that “I’m interested” and engaging in a way that is based on that interest. It’s NOT automation to replace human interaction. Humans are still very much needed. But marketing automation works to improve consistency, identify trends and opportunities and provide valuable data to inform future decisions. Connectivity to the other platforms you’re already using, eg your CRM or sales tool, your website CMS or eCommerce platform, your POS system, etc. Does it have an intuitive interface and functionality – if it’s difficult and clunky to use, chances are it will wear you down before you get value from it. The reporting – is it as detailed as you need it to be? Is it customisable? Training and on-boarding– how robust is that? What is their support like? Either through a local certified partner or the provider’s own help desk. What is their pricing model – is it per user or based on volume. Do you need to pay for additional features? Are you charged for API calls from integrated platforms? And like everything you need to have a clear strategy in place before you start. What are you doing, how do you plan to do it; and what result are you expecting? Marketing automation is a LONG GAME – so don’t expect any immediate results. Just start with the data you’ve got, then implement, test and iterate along the way; constantly optimising your process and content for best results. In the end, the result will definitely be worth it.